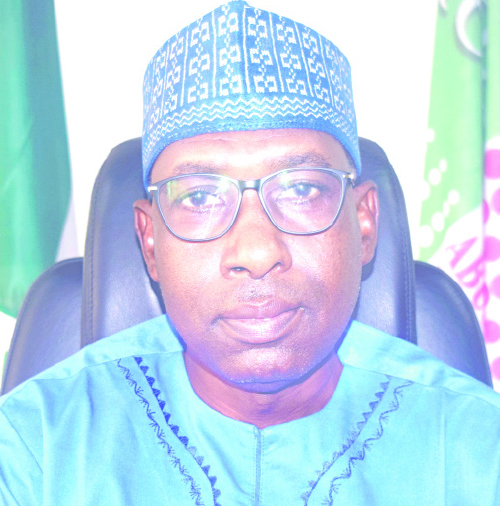 If there is anything preoccupying Arabi Muhammad Tukur, the Managing Director/Chief Executive Officer of the Abuja Enterprise Agency (AEA), it is how to empower as many entrepreneurs in the Micro Small Medium Enterprises (MSMEs) space as possible. The Agency’s goal is to create 100,000 jobs by 2025 in its efforts to assist reduce poverty and unemployment in the Federal Capital Territory (FCT) and Nigeria as a whole. Recently, the agency partner with Access Bank Plc for financial literacy programme. In this interview, he enumerated benefits of the programme for womenfolk in the fct. In this interview, he explains more. It’s an initiative that brings all the regulatory bodies like the National Agency For Food, Drag Administration and Control (NAFDAC), the Standard Organization of Nigeria (SON), the Corporate Affairs Commission (CAC) and the likes that regulate the MSMEs to interface with them and determine their challenges and provide solutions immediately so they can succeed and expand. It’s not a case of taking the matter back to their offices. No! You’ve to provide the solution there and then. That’s why we dedicated a whole day for that purpose. It’s open to all businesses under the MSME umbrella. We are not charging anyone any fees to participate. Service are rendered free of charge. You come, tell us what your problems are and we ensure they’re sorted. On the last count I did, we’ve 108 MSMEs (both participants and exhibitors) in this edition. Entrepreneurs are by their nature not only risk takers but able to identify opportunities that arise as a result and this is one of such. The expectations are that MSMEs in Abuja will continue to grow because this will in turn grow the economy of the FCT. The idea is to provide growth opportunities for them to grow using platforms like the Project 360 and provide employment opportunities for our teeming youths in the FCT. This Project 360 symposium will serve as a good platform to rub minds with experts who have rich experience in developing businesses. The challenges we normally face is the mindset of the MSMEs. Any of them that walks into AEA, what is at the back of his/her mind money and must be given to him or her. And when we tell them that there are processes and procedures for doing that, it become a challenge for our agency. This is because they look at us like we’re being mean and don’t want to give them the funds. They will believe we don’t want them to succeed. Now, what I’m trying to tell MSMEs is that they should be patient. When you come to the agency and you’re looking for such a support, be committed, be patient and you’d get it. It has already been done. Right here in this building, we’ve the MSMEs one-stop shop where you access all the information you need in your business. All the regulatory agencies and other critical stakeholders have their desks in this building. You don’t have to go outsider to access any information. It’s been working and we’ve largely reviewed all the challenges of the MSMEs in this one-stop shop. In the third and fourth quarters of 2018, we trained 269 start-up MSMEs in various skills and vocation. Just two days ago, we distributed starter packs to them and this shows our commitment to supporting entrepreneurs in the FCT. Overall in 2018, the Agency trained and empowered 3,141 entrepreneurs to venture into businesses of their choices. We hope it’ll be a contributory milestone in the federal government’s commitment to reducing the unemployment and poverty. It is indeed always a very pleasant day for us in the Agency whenever we do this type of event because of its huge significance to the lives of the people involved and the fact that the Agency is able to deliver its mandate of Job creation and empowerment. Again, the Agency has successfully trained 1,954 in various entrepreneurial skills that include Cosmetology, (make-p artists), leather works, ankara Shoe and bags, body/households essentials, confectionaries, photography and videography as well as carpentry and joinery. While the trained photographers were graduated in November 2018, we hope that the trained carpenters will be graduating on 16th April, 2019 to be precise. The importance of training and starter pack distribution can never be underestimated in view of its huge potential in moving the country forward. Globally, the entrepreneurship path to growth is the direction that is being followed. From the American, Europe or Asia, this is the way of life. None of these blocks cannot be said to be largely dependent on MSMEs for its economic and social growth. The MSMEs contribute in most cases highly to their GDPs. Therefore, Nigeria cannot afford to be left behind. We must strive very hard to create employment opportunities to the teeming youths this country has. Otherwise, Nigeria will not only be left behind in the global growth process, but will be sitting on a ticking time bomb waiting to explode. God forbid. Stakeholders in the MSME industry should join hands with our Agency in the delivery of jobs to these young men and women in FCT. It is a task that must be done. We always admonish our graduating trainees to see our efforts as a golden opportunity to be positive persons in the society. It is not only a rare opportunity given to them, but a challenge to make a contribution to the society. The FCT Administration under the leadership of Malam Muhammad Musa Bello has been supportive to the Agency in guidance and resource provision. The support that enabled train start-up MSMEs. We’ve warned beneficiaries never to sell these equipment. Again, all the equipment have been clearly marked and their serial numbers have been captured by the Agency. If they sell it, we will easily trace it and get it recovered. This will earn the defaulter a total blackout by the Agency and will not offer any support going forward. The Agency will put them on its watch lists for upwards of 24 months. If they succeed in doing so; of course with the push from the Agency, they have a greater opportunity to come back and request for more. Our major goal is to create 100,000 jobs by 2025; to support 2,000 businesses annually and to encourage entrepreneurship in every home in the FCT. Our main focus areas of services include to generate employment, training, wealth creation, business advisory and mentorship, poverty reduction, outreach services, access to finance, rural community development, workspace provision e, policy advocacy,provision of business advisory enterprise promotion, among others. We believe in women empowerment considering their strategic position in the life of any nation. So, on February 27 and 28, 2019, the Agency in partnership with Access Bank Plc. –“W” Initiative organized a two-day financial literacy for women training programme. The programme took place in our auditorium and had 33 women from all spheres of life in attendance. The event was to develop and maintain the appropriate standards of competence for wealth management, risk management, financial planning and analysis. It also involved cash flow planning & financial management. Other topics treated included calculation of Break-Even in Multi-product business, pricing, Costing & Profitability, bookkeeping, savings & investment, reading and Understanding Financial Statements, budgeting & setting financial goals, case studies were also discussed during the training. In addition to financial inclusion, the “W” initiative was a one-stop centre of all Access Bank’s women empowerment offers. Some of these include capacity building programmes exclusive to women, mentoring programmes, and maternal health services, all aimed at helping to build a bigger, stronger and more sustainable society. Under the “W” initiative, participating women and their families have access to privileges including access to loans and credit facilities; access to the ‘W’ community in which they can get insights concerning family matters and finance matters. In addition, ‘W’ community also provides women with access to information about several value-added special offers for the home, including specially discounted offers as well as freebies on health, beauty and fitness.